Show Stopper is a fashion themed cafe, and it truly does justice to its name. The cafe has terrific interiors. They've used the combination greys, red and black, which is complemented by their yellow lighting. The seating is very comfortable and you would really like to spend some quality time in the cafe. 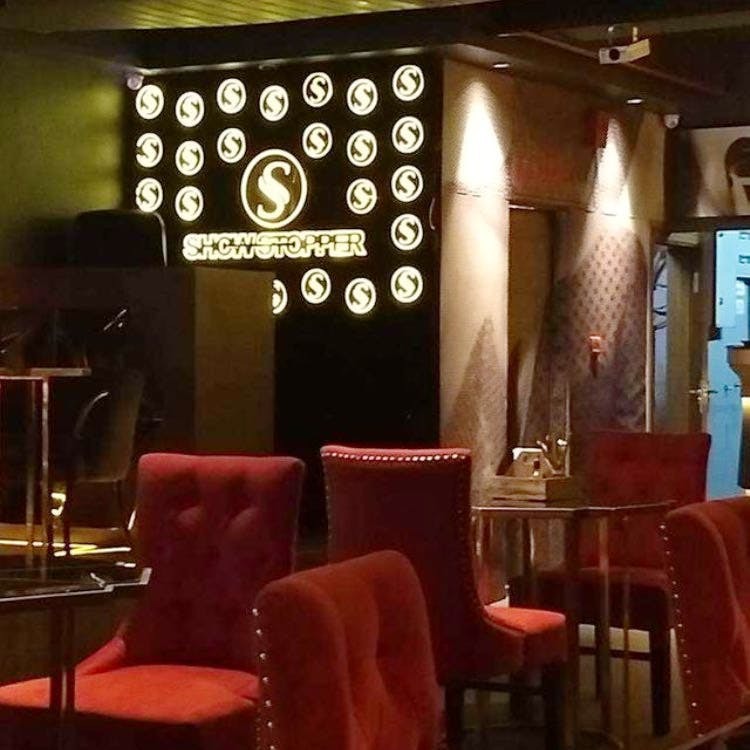 They serve hookah and drinks, and if you're going on a day when there is special cricket or a football match, you can surely grab some amazing offers. There is live screening in the cafe. And over the weekends, they have live music. They have valet parking so you don't need to worry about your car. Visit this place during the weekends and enjoy the live performances. Coming to the food, there are a lot of options in the menu. They serve north Indian, Chinese and continental cuisine. I ordered spring rolls, pizza and their special paneer tikka. I must say, you won't be able to have a bite without taking the pictures of the dishes. Everything is so beautifully plated. The food tasted good. The dips that they served were really nice.